Имате въпрос към Hotel JM? Сгушен в сърцето на Център на Чеджу, Hotel JM е идеалното място, от което можете да започнете Вашето приключение в Jeju Island. Хотелът се намира на 0.5km от центъра на града и осигурява достъп до важните места на града. Понеже главните забележителности на града като Перъдайз гранд казино, Безмитен магазин Shilla Чеджу-до, Генерално консулство на Япония са близо до хотела, неговите посетители ще харесат разположението му. Като допълнение всяка хотелска стая предлага широка гама от удобства. Много от стаите са с телевизор с плосък екран, достъп до интернет (безжичен), безжичен интернет достъп (безплатен), климатик, отопление, за да удовлетворят и най-изискания вкус. Независимо от това, дали сте фен на фитнеса или просто търсите начин да отпочинете след уморителен работен ден, в хотела ще намерите най-висококачествените съоръжения, такива като голф игрище (в радиус от 3 км), риболов, караоке. Каквито и да са поводите за Вашето пътуване,Hotel JM е най-доброто място за престой, което можете да изберете в Jeju Island. it is really near to the shopping area. the interior and the basic needs are provided. there was a construction going on when we were there. it was not that noisy but the view from the window was right in front of it. everything else was really good. and the price was affordable too. Located in the city centre. Beautiful room. Writing this on behalf of my friends as I was the one who booked the room. 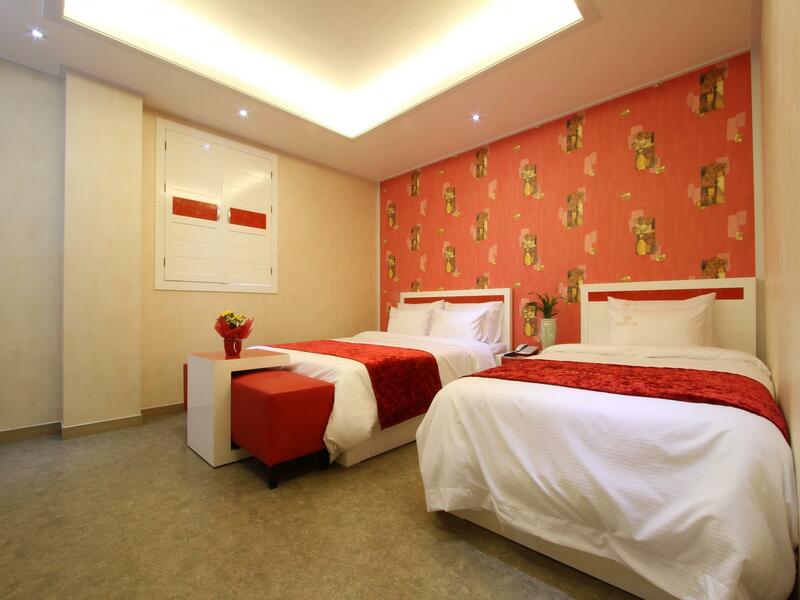 ** Married couple - Eira & Iwan Room was neat & beautiful with red colour design of most furniture. Easy to take a walk & strolled along the city area. Near to the airport. Convenient enough to have a calm room. The hotel is situated near to airport and also the shopping area. Staff is helpful to assist us in calling for taxi to get to the airport. Rooms are big and clean. Reception is AWESOME. i asked so many questions as am solo, free and easy and first time there. both of the reception ( morning and night) guide me patiently! room is good! neat and tidy. i got even computer in my own room. i can easily transfer my pics from camera to hardisk every night. I love their room i will be back again!! The hotel staffs & the locals are so helpful in helping us find the route/bus number of places that we plan going. No problem finding gd food and this hotel near Hallasan Hospital bus-stop (buses to other city) & also bus stop go to airport. It is located at the back lane but still considered strategic. Night market is just 2 streets away. If you were to take cab back to hotel JM, mention Grace Hotel (near Hotel JM) instead, easier for the driver to find. Room was big and clean except that we were not provided toothbrush/toothpaste which I think is the basic for all hotels.Did not use the soap provided as not a brand new one. (soap was wet and left in soap tray). We were only provided with small towels instead of the usual bathtowel. On the whole, the room was clean and spacious. Would not consider staying in hotel. The stay was value for money, however, there were mosquitoes at night in the room. The concierge is avail 24 hours and the lounge has a water dispenser and a self-service beverage counter. A convenience store is just 20 meters away from the hotel. Restaurants, cafes, and shops are near the vicinity, 5 minute walk from the hotel. A cab from the airport to the hotel costs 5000 won. The hotel is close to airport. The room was spacious . It was a great stay. The hotel is close to airport, it takes around 10mins from hotel to airport by taxi. 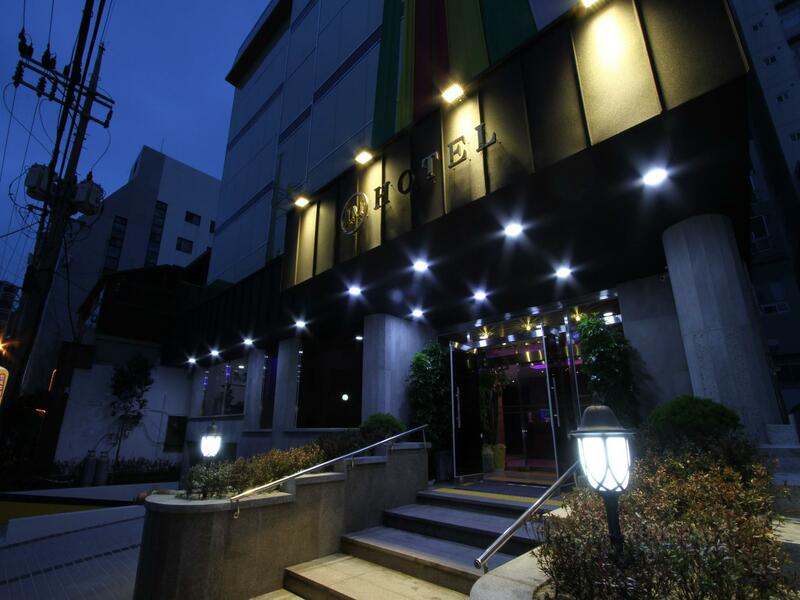 The hotel is located near to the Jeju Airport and nearby shopping area. 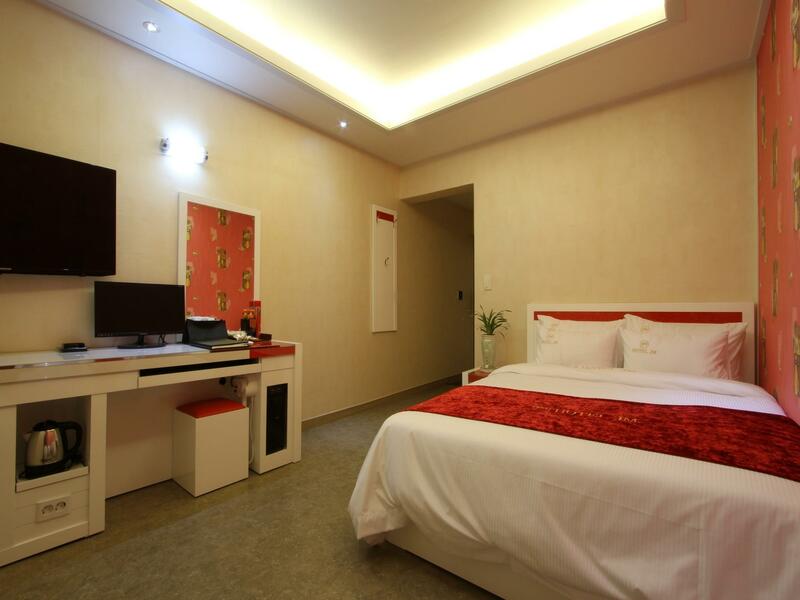 The hotel rooms are also big and clean and is comfortable to stay in. Staffs are also friendly and helpful. Highly recommend! Overall stay was good and location is near to shopping area.. The stay was a good one. The stay was a good one. Room is spacious and comfortable. Room comes with computer thus making it convenient for travellers to do travel research in the room.